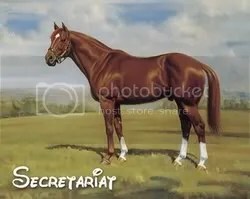 Secretariat was one of the most famous thoroughbred race horses in history, winning the Triple Crown in 1973, besting other horses in the Belmont Stakes, the Kentucky Derby and the Preakness Stakes. Walt Disney Pictures and Mayhem Pictures have announced an open casting call for chestnut horses to play the title role. Miley Cyrus and PediatricSafety.net are giving away free tickets to Miley Cyrus concerts in New York, NY and Atlanta, GA. The giveaway includes two tickets to see Miley Cyrus in concert on November 18th at Nassau Coliseum in New York, and two tickets to see Miley Cyrus in concert on November 29th at Philips Arena in Atlanta, GA. Attractive male female runway models are being sought for 2009 Fashion Week Tampa Bay. They are seeking confident and attractive male female runway models. There are select opportunities for male models and female promotional models for the show’s sponsors. Regardless of weight or body frame, you must have a healthy appearance and be in good physical condition. If you do not meet the requirements BUT have modeling experience and/or a strong runway walk, you are welcome to attend this casting call. Nancy Mosser Casting in Pittsburgh is looking for people between the ages of 15 and 75 to work as extras, stand-ins, photo-doubles, and silent bits. The pay rate will vary depending upon what you are cast as. A stand-in is a full-time position, and to be considered you must be available everyday for 12 hours and have reliable transportation. Everyone else should be prepared to work at least one full day or several days in a row. 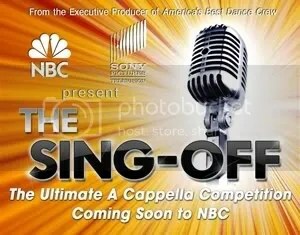 "The Sing-Off," NBC’s upcoming a capella singing competition series, will be traveling to four U.S. cities in September searching for the most talented a capella singing groups to compete on the series for a chance at a major label recording contract. New Disney Channel series "Good Luck Charlie" auditionsThe new Disney Channel original live-action multi-camera sitcom "Good Luck Charlie" has started production and casting for guest stars, day players, and extras is underway. The pilot for this show was titled "Oops". The show will start taping on August 24, 2009 and is scheduled for a 2010 premiere on Disney Channels around the world.